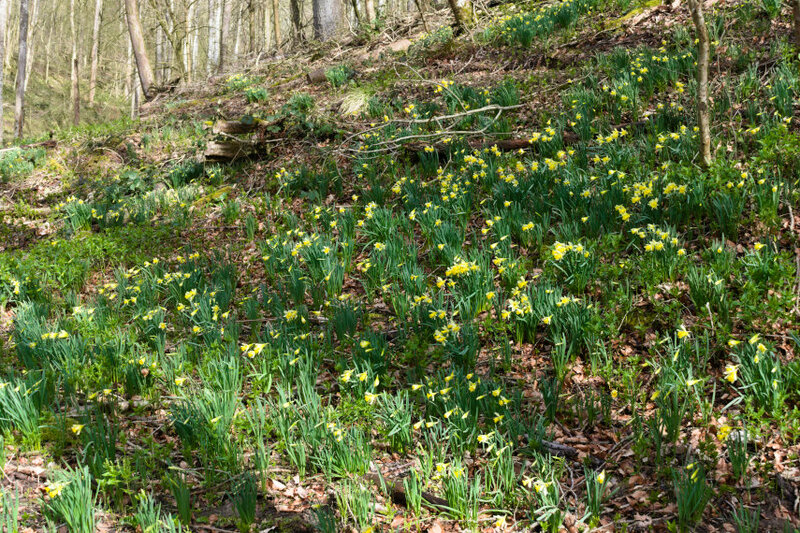 You may remember that in my previous post I showed a photograph of a solitary wild daffodil on the Croft Castle Estate and said that were more plants round about and that we may come back in a few weeks time for another look. In the meantime I have managed to develop a stinking cold so I’m not feeling terribly bright. However we decided to go back to Croft Castle and see if I could manage the walk. Well I could. 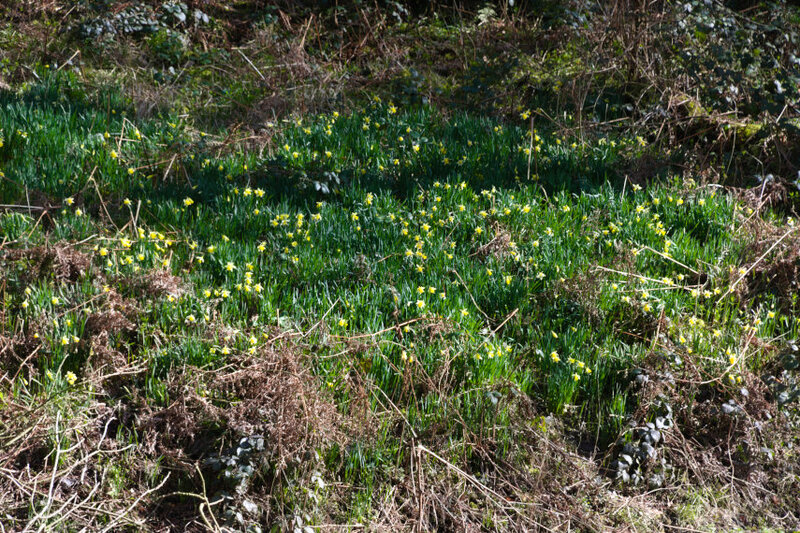 There were more daffodils with their trumpet-like flowers as we suspected in two separate areas and the picture below is one of those areas. This is the second area. It is possible that there could be even more in flower in a week or so. 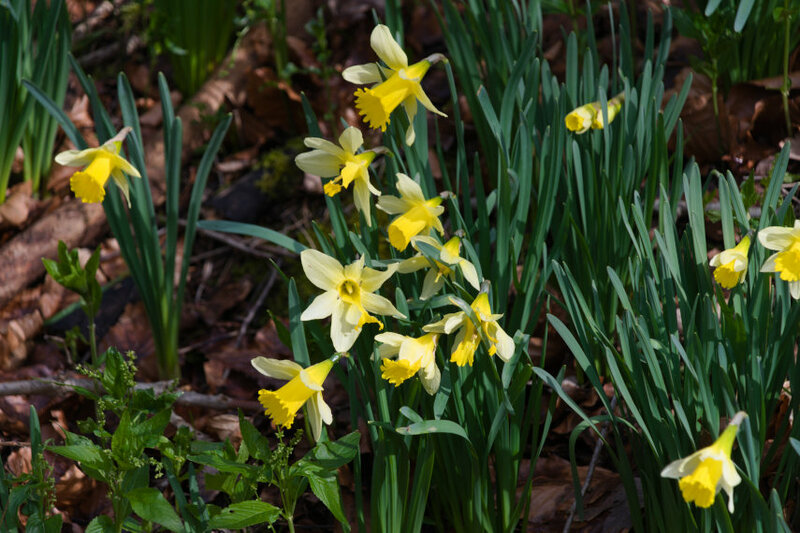 Remember that these are wild daffodils which are about half the size of the garden variety. I managed to stagger back uphill to the National Trust restaurant were we had some lunch and went home. #1 | Written by Annecyborn on 13 March 2019. Okay, I am seriously jealous. We still have snow on the ground, though in a sunny spot there are a few crocus blooming. I will just linger on your pictures and imagine that spring is right around the corner. You are a brave man to go walking with a cold Hope you are feeling better.